Until 2023, Edge Computing is estimated to reach a market value of 18 billion euros (see Wiseguyreports 2018: Edge Computing -Market Demand, Growth, Opportunities and Analysis Of Top Key Player Forecast To 2023). Although the technology is crucial for the Internet of the future, unlike with 5G technologies, barely any industry standards exist. Moreover, there is a need for explanations when it comes to the benefits of on-spot computing power for the industry. 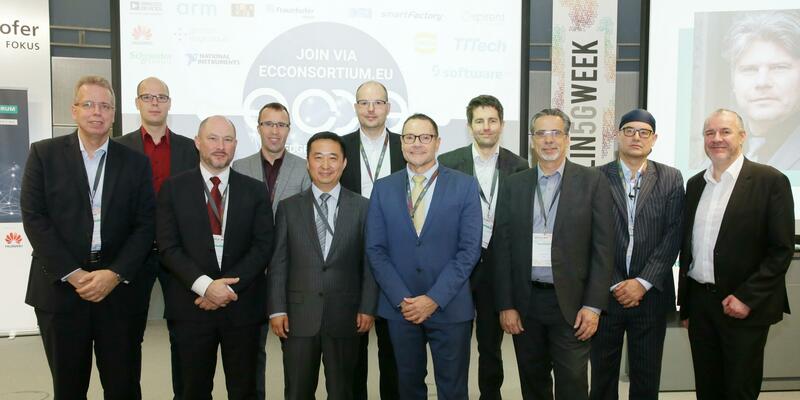 In order to speed up the development from a European perspective, Fraunhofer FOKUS announced that they will found the “Edge Computing Consortium” (ECCE) in the coming year in cooperation with its partners Analog Devices, Arm, Bombardier, B&R Automation, German Edge Cloud (GEC), German Research Center for Artificial Intelligence (DFKI), Harting IT, Huawei, IBM, Renesas, Software AG and TTTEch at the Edge Computing Forum in Berlin today. Companies can thus test the technology ahead of time and the Edge Computing concept can be further developed according to industry requirements. The consortium welcomes collaboration with more partners who are engaged in the action of digitalization verticals. Deterministic, i.e. real-time capable, communication can be guaranteed which is not the case when communicating via the Internet.